Today only, Amazon is running a sale on select Keurig K-Cups. I am seeing select 12 and 18 count 2 packs (24-36 cups) for as little as $10 each. Check out the Friday Keurig K-Cup sale + more Friday Only Deals on Amazon here. 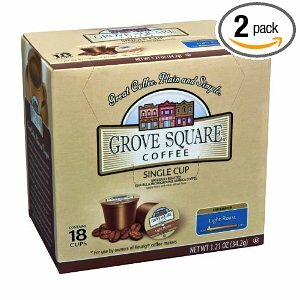 Just fyi, the Grove Square brand K cups are basically instant coffee. Yuck.